A taxicab in Evanston. The city is providing older residents and those with ambulatory disabilities additional transportation services. 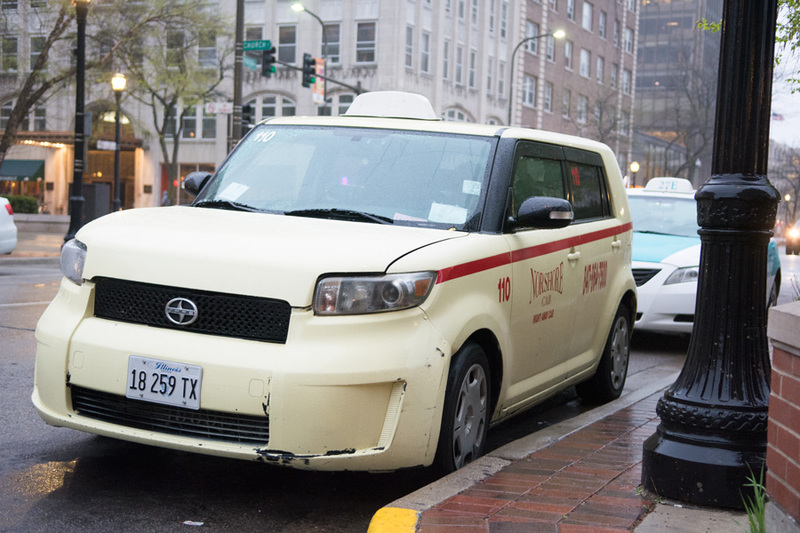 Older Evanston residents and those with ambulatory disabilities will be eligible for additional transportation services as part of the city’s Taxicab Voucher Program expansion, according to a news release. The services, which are part of a pilot expansion from the beginning of May to the end of June, will include door-to-door transportation. The program, TransAssist 4 Evanston, is funded by the Transit Planning 4 All Grant via a partnership with the Council for Jewish Elderly, according to the release. The program offers both a ride and shuttle service. The ride service is for residents who already utilize senior taxicab coupons; residents can request rides Monday through Friday between 10 a.m. and 3 p.m., and can be reserved up to 24 hours in advance. The rides can be from any location in Evanston to any location within Evanston, Lincolnwood, Skokie or Wilmette. The shuttle service is a door-to-destination service that provides rides to select locations — like downtown Evanston and Presence Saint Francis Hospital — Mondays and Thursdays between 9 a.m. and 4:30 p.m., according to the release. The program guidelines indicate that a participant must require the use of a motorized wheelchair-accessible vehicle or have other disabilities that limit access to taxi services, according to the release. Individuals must also be active holders of the Evanston Benefit Card, which subsidizes certain services and products.